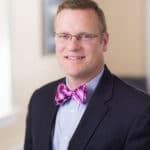 MacElree Harvey personal injury attorney, Timothy F. Rayne will present “A Lawyer’s Guide to Purchasing Car Insurance” at the Southern Chester County Chamber of Commerce Women in Business Breakfast on Wednesday, April 4, 2018. This event has passed. If you wish to view a video of the presentation, click here. If you have any questions regarding a personal injury matter, contact Tim Rayne at [email protected] or (610) 840-0124. For over twenty years, Tim Rayne has been helping people injured in accidents understand their legal rights and receive fair compensation from insurance companies. Tim regularly practices in Chester County, with offices in Kennett Square and West Chester. He also helps clients with cases in neighboring counties, including Bucks County, Delaware County, Lancaster County, Montgomery County and Philadelphia County. « Let’s Talk Money: Who is Responsible for Attorneys’ Fees in Civil Litigation?